Last December, someone posted a fabulous idea on Facebook. On January 1st, place an empty jar on the kitchen counter. Each time something good happens, write it out on a piece of paper and drop it in the jar. (I used colored pieces of paper to make it look prettier). 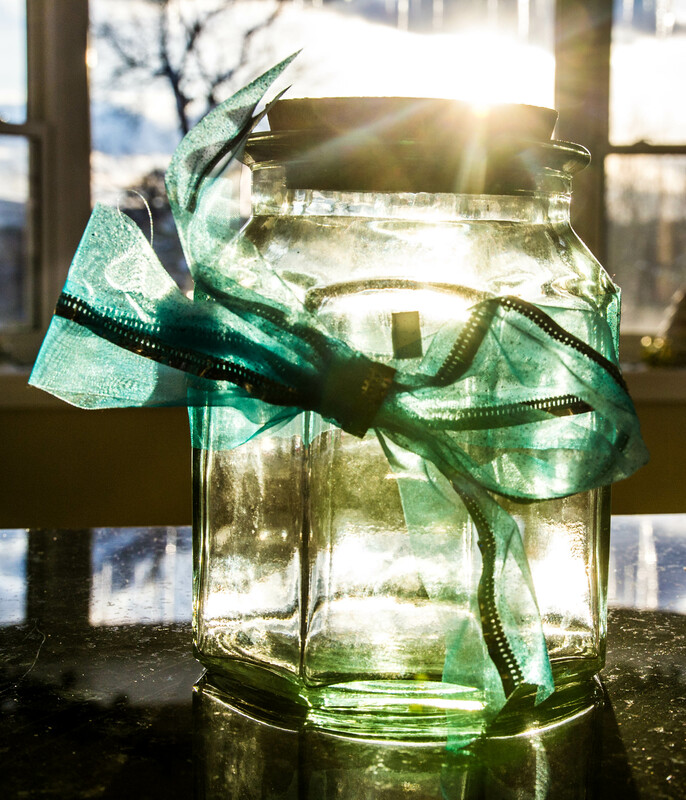 On December 31st, open the jar and read all the blessings that the year contained. Our family actually did this all last year and I would highly recommend it. As I have mentioned, 2013 was full of challenges and twists and turns that we did not expect. At times it was exhausting and when you feel like you are walking only uphill, it’s hard to remember that there are still blessings to be discovered. At dinner on New Year’s Eve (before we all went our separate ways), my family gathered together and one by one, I read all the blessings God had graciously given us over those 365 days. After we read the last one, there on the red tablecloth was a rainbow of paper scratched with blessings. A testimony to God’s faithfulness, His never-ending ability to provide joy in the midst of the hard. His goodness, kindness, and mercy make me weep. I loved this photo of our blessing jar in the afternoon sunshine because it reminded me that He IS Light and He alone will fill your life and mine with all the light we can hold. Consider starting a blessing jar of your own to begin this new year?